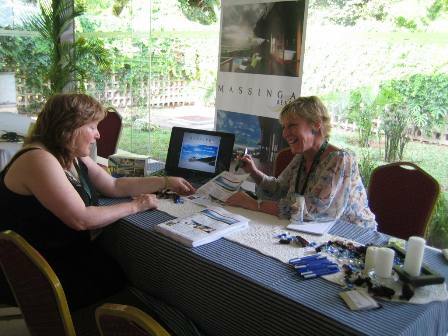 I just ‘popped’ off to attend a travel workshop with the task of “telling” Maputo about the December opening of the exciting new Massinga Beach Lodge located just north of Inhambane in Mozambique. You’ll learn a lot more about these developments over the coming months, but this blog is about one of my favourite African cities. The Mozambique national airline is clean and operates quite efficiently but is not renowned for its friendly cabin crew. However, in retrospect after a terribly early morning (and I DON’T do mornings) to miss the dreadful traffic from Fourways to OR Tambo International, I welcomed the peace and quiet. Especially after PJ, my car man, took our spare time to go to the carwash after taking me for a quick Mac whatever. This says something significant about his priorities – often the food comes second to cars but it is generally more memorable. To be fair PJ had been told that M serves great coffee – it was okay and we had a second cup-to-go! After a few chilly days and the only very recent arrival of summer in Jozi, flying in over the sprawling city hugging Maputo Bay, landing in a sultry 32 degrees (not has humid as usual) and the anticipation of this unique city’s Porto-Afric vibe immediately makes me feel like I am on holiday. In my wisdom, after my previous life with Lonrho Hotels and a pretty intimate knowledge of the Hotel Cardoso up on the hill, I opted for the Southern Sun with its great location on the beach front. I am after all presenting a Beach Lodge at the workshop and need to shake off the Johannesburg raciness. Aaaah well, the hotel airport transfer was nowhere to be seen at the airport and Hotel Cardoso Driver, Augustino, took pity on me and whisked me away from the lurking, slightly too insistent taxi drivers. My brief thoughts of bad omens washed away by the air-conditioned vehicle and graciously presented ice cold bottle of water. On arrival at the Southern Sun Maputo, they were suitably apologetic, even the GM, Bruce Chapman, came to ask why I was dropped off by another hotel. That’s all one wants when there is a botch up, isn’t it? That someone obviously cares and is paying attention. A more than welcoming porter, a beachfront room, fresh calamari for lunch and I catch up on my mails. Looking out over the Indian Ocean to the horizon, I silently quote “It’s hell in Africa!” and I sure am pleased this is my life. The workshop at the International convention centre is a success, well attended and luckily for me, I present a product that the local community is very excited about – I may even have booked out the Lodge for New Year! A great mix of people and once again – this can only be Maputo … from Mary Ann of the US Embassy to the French food lady from Cafe Sol offering French prune tarts and real America Carrot Cake; to tour operator Domingas Loforte of Muhambi Africa who has an affinity for Massinga, her mother’s home town … and my dear friend Maria Rocha who I have not seen since left Rani Resorts seven years ago. What a reunion – lots to catch up on and typical of this city – that happens with food! 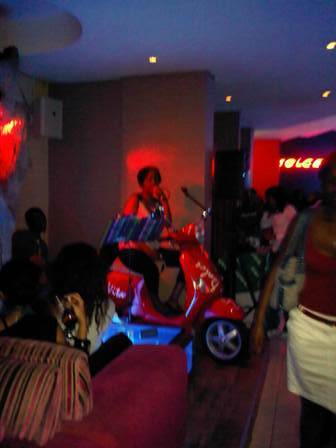 Dolce Vita vocalist on a Scooter! Rock Cod medallions with prawns at Clube Naval which is really excellent, served on a bed of julienne vegetables with a creamy lemon sauce and accompanied by 2M draft. After dinner we move on to Dolce Vita on Av Julius Nyerere, a vibey bar with live Brazilian and Portuguese music; pumping with young, old, all colours of the rainbow, clutching G&Ts or cocktails in trendy glasses – I have a few of the best Margharitas ever! This evening has the potential to be late and I have an appointment for 08h10 precisely, so I resist the temptation for another and return to my hotel, lulled to sleep by the gentle waves lapping on the beach below my window. My last waking thought is a wish that this stay was not so brief. OMG, Girl, I am hungry! I am sure – nothing to do with food but a lot to do with no smoking. i am incredibly impressed – drinks gallons of water! It sounds amazing, I am so envious ! Have one or two for me. 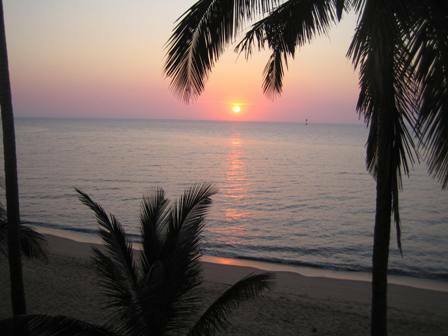 I have been away from maputo for too long and it is a real treat to know I will be back more often. On the 13th November in fact, en route to Massinga Beach for a progress site inpsection! You are welcome – Thank you for joining me – I hope to keep you entertained with stories of travel and hospitality!